The Vi Spa Aromatherapy Room is a great way to introduce an aesthetic element to the spa experience in a different way. 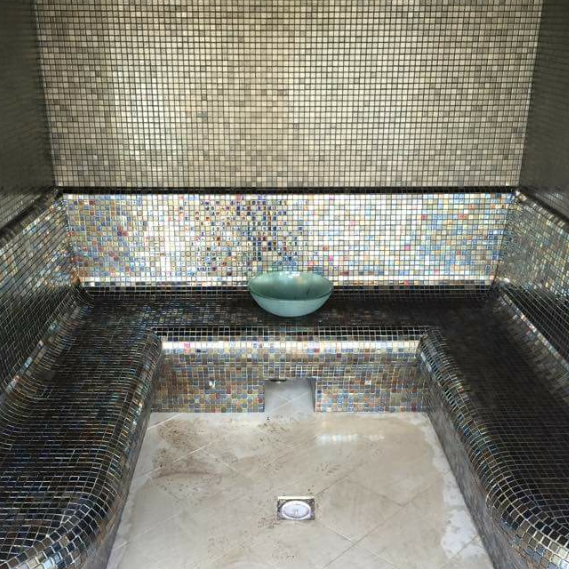 A Vi Spa Aromatherapy Room is custom tiled and stunningly beautiful from the moment you enter. With heated walls and seating, soothing music and the infusion of aromatherapy essences we create a luxurious and tranquil place for guests to relax and unwind. There is nothing particularly new about aromatherapy. As a treatment, aromatherapy has been around for centuries and worked its way into everything. An aromatherapy room takes the basic idea to a new level. We start with a custom tiled room, stunningly beautiful from the moment you enter it. Then we incorporate heated walls and seating, a little quiet music playing and the infusion of aromatherapy essences into the space. All of this together creates a luxurious and tranquil place for guests to relax and unwind, with the perfect fusion of aroma and lighting. For more information on our Aromatherapy rooms please contact us.